Come on, people, give me some empathy. It is hard work writing with a degree of zest and conviction about the new books that keep coming. But here’s why I need your patience: each of these stellar books deserve full throttle, heavy-duty, really informative reviews. I love these and want to pull out the stops to properly honor them. They are that good. And it ain’t gonna happen. It is that time of year, and my carefully plotted hopes of doing hefty posts is falling apart as time and snow and late-in-the-year releases continue to conspire. So, here ya go. Three reviews of three excellent suggestions, in one big BookNotes blog. C .S. 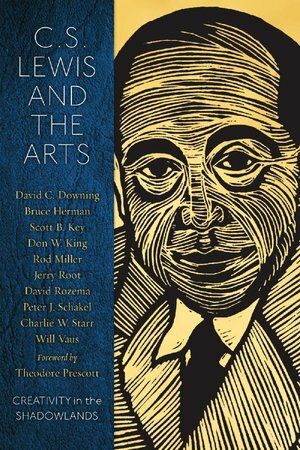 Lewis and the Arts: Creativity in the Shadowlands edited by Rod Miller (Square Halo Books) $18.99 OUR SALE PRICE $17.09 I have started a longer review of this, and it would be great to tell you about each and every chapter. That is what I did, after all, with the last spectacular Square Halo release — It Was Good: Making Music to the Glory of God edited by Ned Bustard. You can see my shorter rave of that one here, or the longer review here. This new Square Halo one is easy to explain, even though no curt description does it justice. It is, as is pretty obvious, a collection of essays about the ways in which C.S. Lewis thought about the arts. Just when you thought there couldn’t be any reason for another book about the Oxford don, this comes out and — righto — this is a must-have addition to the personal library for anyone seriously interested in all things Lewisy. Of course, many of the contributing authors are fans, but not all are fully in agreement with Lewis’ take. Most, however, are confident that the more typical approaches of relating faith and the arts have much to gain by learning from Lewis. We always have much to gain by learning from Lewis, so we commend this book to you. A few of these intellectual essays just glow — I must admit I really liked the chapter by David Downing (who joked with me that some readers thought we weren’t allowed to critique Lewis, as if he has some inerrancy clause) and the excellent ones by Charlie Starr and Will Vaus. The great painter and multi-media artist (and former head of the excellent art department at Messiah College) Ted Prescott, wrote the forward and it, though brief, is excellent. But I think I liked Bruce Herman’s very human and humane piece the best. He at once showed great familiarity with Lewis (and Gadamer and Steiner) and how their generous hermeneutics could transform contemporary art criticism and culture. This is not only a lovely, thoughtful essay, it offers a very important ideal and much hope for the state of the arts in our land. You could easily give this book to nearly anyone who likes to read Lewis — it is new, and a bit rare. Square Halo is an indie boutique publisher in Lancaster who specializes in books about the arts, so it isn’t well known. It is therefore, sure to surprise and delight. I predict if you give it, the recipient (if they follow Lewis literature) will be delighted and you will be thanked profusely. You could also easily give this book to nearly anyone who likes to ponder the intersection of faith, aesthetics, cultural renewal and the arts. I would have wished from some interaction also with some of the exquisite and important aestheticians of today — I’m thinking Calvin Seerveld or Makoto Fujimura or Dan Siedell, for instance — but that’s another book, I guess. (Square Halo’s It Was Good: Making Art to the Glory of God comes to mind.) For a book that does something no other book has done — exploring “creativity in the Shadowlands” — this is a great achievement. As such, it is one of the more important books in Lewis studies in quite a while. 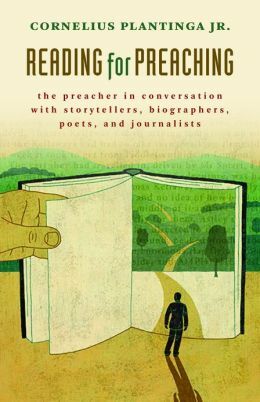 R eading for Preaching: The Preacher in Conversation with Storytellers, Biographers, Poets, and Journalists Cornelius Plantinga Jr. (Eerdmans) $14.00 OUR SALE PRICE $11.20 I have to admit that, despite the splendid and important great non-fiction religious works that have appeared in recent months — urgent works by authors which I have reviewed here at BookNotes such as Jamie Smith, N.T. Wright, Andy Crouch, Jim Belcher, Walter Brueggemann — this is the one that I have been most eager to see. I got all queasy in the tummy when it came, and when I finally broke free to start it, I literally got choked up. If you are a book lover, you will understand; Plantinga’s opening introduction makes a wonderfully eloquent and interesting case for the power of good books. He features a lot of novels and poets, but he affirms the eloquence of historians and reporters and memorists. And he loves young adult fiction, too. Oh my, oh my, oh my. If you ever need reminded about why we care about these objects of paper and print, just read the first 8 pages of this great little book. ve been blessed to be involved, and Plantinga’s ability to reflect on why and how books matter to the preacher is apparently just amazing. And it is clearly apparent in this new book, with wisdom and stories gleaned from his years of reading great books with good preachers. His own storytelling is charming and wonderful, his economy of words exceptional, his vocabulary and insight and wisdom nearly stunning at times. It seems this project — reading widely in fiction and creatively crafted nonfiction — really is the ticket. Man, this guy can write, and he walks us through all kinds of good literature. What joy this book brings! You should know two big things about this powerful little volume. Firstly, it is not mostly about how ministers can quote good books. There is a fabulous chapter on this — how much of an excerpt dare one read out loud, how should one cite the quote, what sort of poems work in a typical sermon? He tells fine and funny stories, gives good advice, and actually makes this pedestrian question really, really interesting. But, as he says in the very first few pages of the preface, this is not the main reason a pastor should read widely. More significantly, reading good books shapes the character and vision and vocabulary of the reader. Such pleasurable, good reading helps a pastor — or any of us, if you get my drift about why we all should read this book — gain greater empathy. It helps us learn how others narrate their lives, making sense of things, even hard things. Reading fiction gives us texture and vocabulary and rhythms. Reading the sorts of good writers he suggests gives can bring us wisdom and insight. Plantinga offers many chapters, each on different sorts of things one can absorb from good authors, and the first is “tuning the preacher’s ear.” He draws on good sermons, too — from preachers like Barbara Brown Taylor or Frederick Buechner (who he begs us not to try to imitate) which is an added little feature, hearing these lines from these famous preachers. Look: if you have a preacher friend, give her this book. If you’ve got a pastor, share this. But the second thing: this is not just for preachers, despite what the title says. If you like books at all, value good writing, enjoy fine novels or the occasional poem, if you take in the best memoirs and award winning journalists, you will love this. Get it for your clergy friends, and get it for yourself. If you are a reader or a writer, get this book. I might say more about it again — how can I not, this book has “Hearts & Minds” all over it! — but for now, allow me to assure you that it is well worth reading, and nearly any clergy person you know will like it. Or should. Buy this book for him or her, and enter “the conversation with storytellers, biographers, poets, and journalists.” And then by one for yourself. Here are some of the enjoyable blurbs on the back. I wish I could add my voice — this is a very special book. Plantinga’s Reading for Preaching represents the gift of a lifetime. — author of The Witness of Preaching and What Shall We Say? ravenously read in order to feed the beast of each Sunday’s deadline? from him how to stock a mind for greater preaching is beyond price. 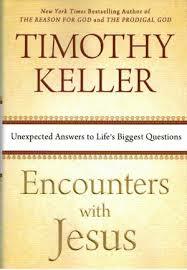 E ncounters with Jesus: Unexpected Answers to Life’s Biggest Questions Timothy Keller (Dutton) $19.95 OUR SALE PRICE $15.96 Interestingly, this is the second brand new hardcover to be released by the famous New York Presbyterian preacher this season. We were glad to feature — in NYC at the Redeemer Center for Faith and Work event — the good one that came out in October, Walking with God Through Pain and Suffering. What an amazingly thoughtful book that is! This one was released about two weeks later mid November. Encounters with Jesus is similar in size and shape to Keller’s other neat compact volumes like Counterfeit Gods, Generous Justice or The Prodigal God. And it is every bit as good as those great ones, maybe better. I have read three quarters of the chapters and have been very, very impressed. It is certainly one that fans of Keller will want — Keller on Jesus — but I’d like to tell you just a bit about it, so you can consider giving it to others who may not be familiar with this sharp thinker and fine communicator. It will make a fantastic gift, not too heavy, but full of substance. The second portion of the book includes five chapters which are also revised from talks Keller gave; this time, the lectures were offered month by month, at a breakfast meeting with thoughtful mid-town business people at the legendary Manhattan Club, where he was invited to hold forth. Can you imagine? 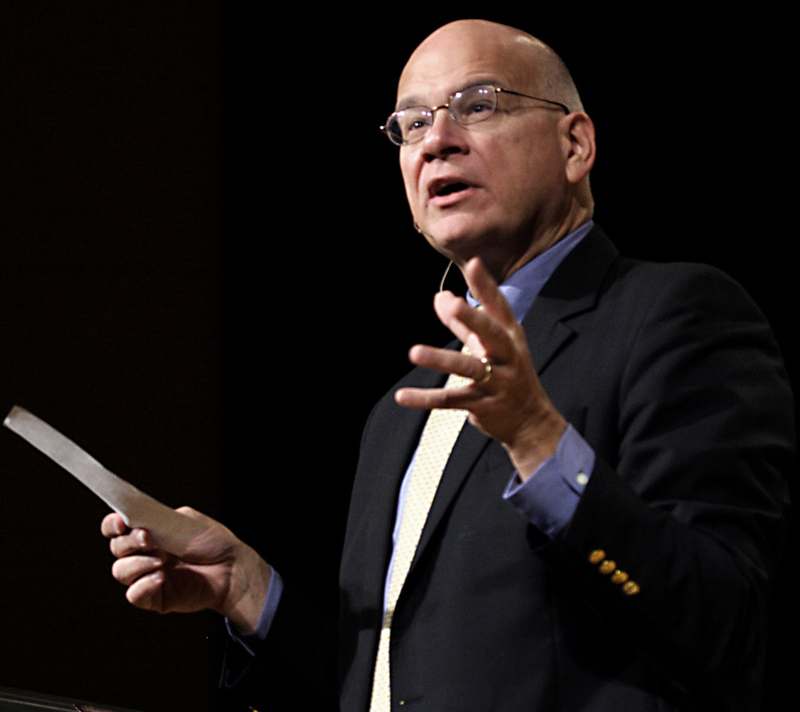 Preacher and apologist that he is, he took to the second half of the book of John, working through themes and questions of utmost universality, and offering a compelling, upbeat, consistently Christian worldview. Again, his chapters reflect the early versions that were spoken, and they are eloquent and moving. (How could they not be, as he walks us through the passionate episodes of Christ’s last meal, his time in the garden, and so forth.) The last chapter, though — a very good one — is a bit curious. He backs up and explores, in “The Courage of Mary”, the annunciation. What a nice ending to a very useful little book. Perhaps you’d want to read it out loud this holiday season. Below is an excerpt from the introduction is handsomely shown on the back cover. Perhaps it will help you think of someone for whom you could buy this book. It is that time of year, you know, when you are allowed — indeed, sometimes required – to give a little gift. Maybe this will work. There are plenty of other ideas we would consider valid, or noble, or even beautiful, that came solely from Christianity. Therefore, if you want to be sure you are developing sound, thoughtful answers to fundamental questions, you need at the very least to become acquainted with the teachings of Christianity. The best way to do that is to see how Jesus explained himself and his purposes to people he met — and how their lives were changed by his answers to their questions.